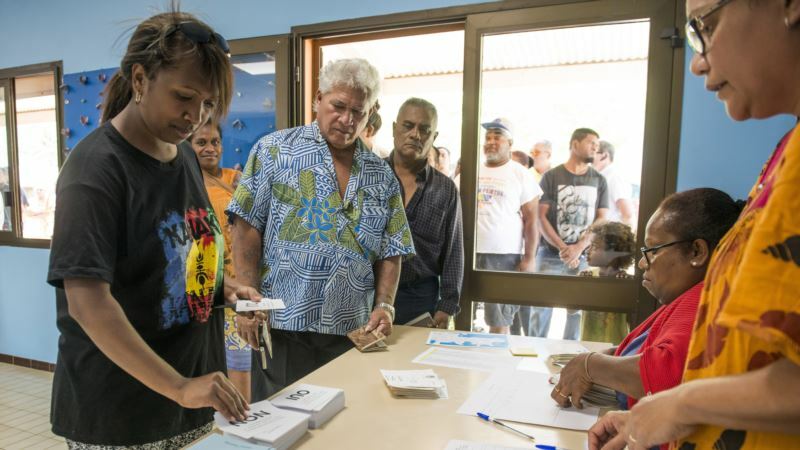 New Caledonia Voters Reject Independence - Integration Through Media ....! (VOA): The Pacific islands of New Caledonia have voted to remain part of France in an independence referendum. Nearly 57 percent of the islands' 174,000 voters decided to remain part of France, which claimed the archipelago in the mid-19th century. New Caledonia's economy is supported by about $1.5 billion in French subsidies each year and many fear the economy would collapse without those payments. While the territory already enjoys a large degree of autonomy, it does heavily rely on France for some matters, including defense and education. The referendum in part of a process that started in 1988 to end years of violence between the supporters and opponents of independence from France. A decade later, a deal was reached to have the independence vote in 2018. If voters say no to independence, the deal allows for two more independence referendums to be held by 2022. Under colonial rule, the indigenous Kanaks had been confined to reserves and excluded from much of the island's economy. Political analysts say the Kanaks tend to back independence, while the descendants of European settlers lean toward maintaining the France connection.